Gibson Dunn | Parker, Richard G.
Richard Parker is a partner in the Washington, D.C. office of Gibson, Dunn & Crutcher and a member of the Firm’s Antitrust and Competition Practice Group. Mr. Parker is a leading antitrust lawyer who has successfully represented clients before both enforcement agencies and the courts. As a trial lawyer and an antitrust regulatory lawyer, Mr. Parker has been involved in many major antitrust representations, including merger clearance cases, cartel matters, class actions, and government civil investigations. He has extensive experience representing clients in matters before the Federal Trade Commission (FTC) and the U.S. Department of Justice Antitrust Division. 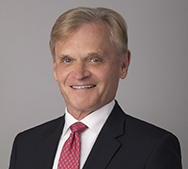 His experience in high-profile merger matters have earned him high honors, including being recognized by Chambers USA as a leading Lawyer in Antitrust, by Global Competition Review as “Litigator of the Week” and as a finalist for “Lawyer of the Year”, by the Legal Times, Best Lawyers in America, Lawdragon, and by Super Lawyers Magazine as one of the “Top 100 Washington, DC Lawyers”. Who’s Who Legal named Mr. Parker to their 2019 “Thought Leaders: Global Elite” list for Competition. Mr. Parker also was included on Benchmark Litigation’s “Top 100 Trial Lawyers in America” list. Mr. Parker joins the firm from O’Melveny & Myers where he served as co-chair of the Antitrust and Competition Practice. From 1998 to 2001, he served as the Senior Deputy Director and then as Director of the Bureau of Competition at the FTC. Mr. Parker received his J.D., Order of the Coif, from the UCLA School of Law, where he served as the Comment Editor of UCLA Law Review. He is admitted to practice in California and the District of Columbia. *Representation occurred prior to Mr. Parker’s association with Gibson Dunn.